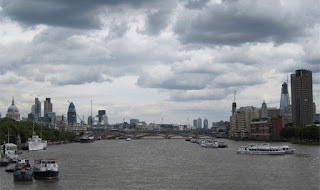 This photo from Waterloo Bridge was taken on 4 April 2009 and though few new towers had emerged on the skyline since the completion of the Gherkin (30 St Mary Axe) by Norman Foster in 2003, a number of high-rises from the 60s and 70s had recently been demolished to pave the way for a new generation of towers. The Willis Building in Lime Street was completed by the same architect in 2008 and the concrete-clad Stock Exchange Tower by Trollope and Colls from 1972 was refaced with a glass curtain wall in the same year. Towering above the Stock Exchange Tower is Tower 42 from 1971-80 by Richard Seifert. 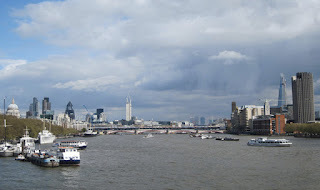 This was the tallest building in London for 10 years until the completion of One Canada Square at Canary Wharf in 1990, seen in the distance. The tower on the other side of the river was also by Seifert and completed in 1972 and was still known as King's Reach Tower in 2009. The next photo was taken in 2011, shortly after the completion of Heron Tower, where construction had been going on since 2007. 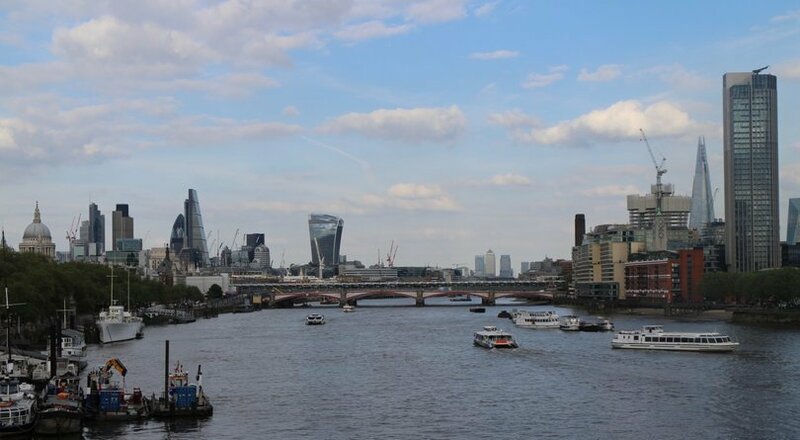 The tower was originally intended at the same height as Tower 42, at 183 metres, and the two towers almost appear as twins from this angle despite the Heron Tower eventually being extended to 202 metres to the roof and 230 metres to the tip of the antenna. The architects were Kohn Pedersen Fox. Just to the left of King's Reach Tower can be seen the rising core of what was to become the tallest building in London. The Shard or London Bridge Tower had been under construction since March 2009. 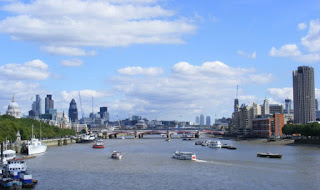 The Shard was becoming increasingly visible on the skyline by 15 August 2011, while the demolition of Bucklersbury House from 1954-58 by architects Owen-Campbell Jones and Sons opened up a better view of the Rothschild Building by Rem Koolhaas, which was completed in 2010. Also part of this cluster of mini-towers are the Willis Building and the former headquarters of Barclays Bank (1990-94) by GMW architects. 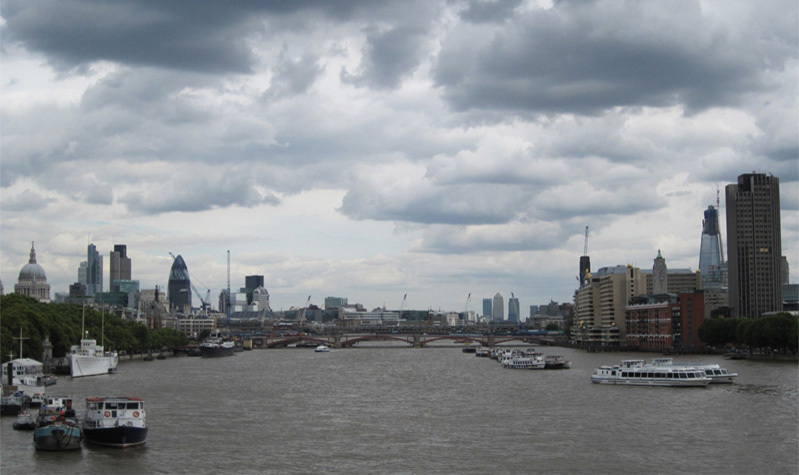 The Shard was nearing completion by early 2012 while a new tower was already making its mark on the skyline. 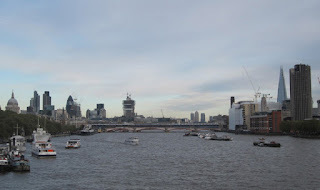 Construction of 20 Fenchurch Street, nicknamed the Walkie Talkie, had begun in January 2009 to a design by architect Rafael Vinoly. It replaced a 91-metre tower from 1968 by William Rogers, which had been demolished in 2008. 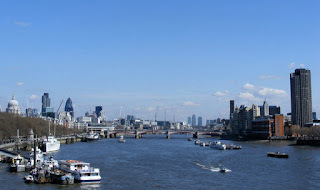 The 306-metre Shard was completed in July 2012, roughly 12 years after entrepreneur Irvine Sellar met with architect Renzo Piano to discuss the redevelopment of the site, then occupied by the high-rise Southwark Towers from 1975. 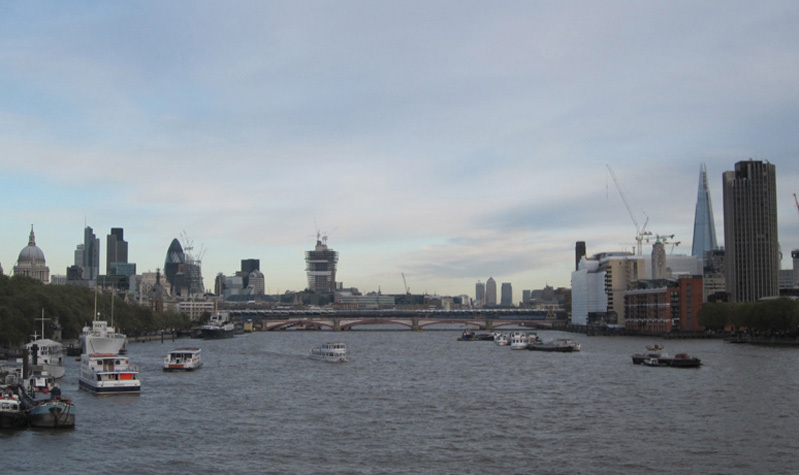 By 3 November 2012, a new tower was also becoming visible as part of the City cluster, the Cheesegrater. 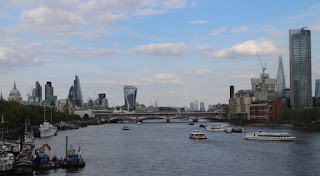 The Cheesegrater, also known as 122 Leadenhall Street, had just been completed when this photo was taken on 12 July 2014, only two months after the completion of the Walkie Talkie. The former was designed by Rogers Stirk Harbour and Partners and replaced a previous high-rise from 1969, which had been demolished in 2008. 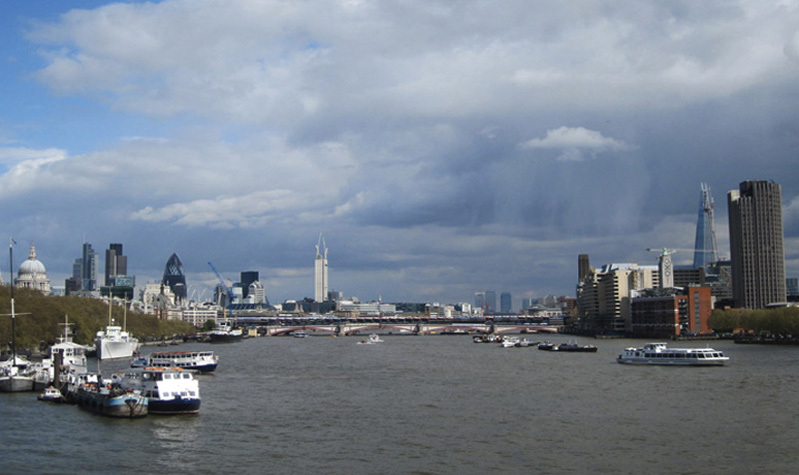 The King's Reach Tower had been renamed the South Bank Tower in 2013 and plans were approved to extend the tower from 111 metres to 155 to a new design by Kohn Pedersen Fox. 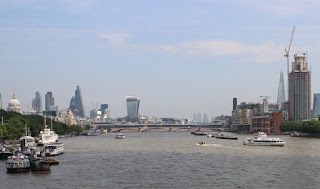 The revamp of the South Bank Tower had been completed in 2015, while the new tower 1 Blackfriars was beginning to impact the skyline south of the river when this photo was taken on 16 May 2016. Designed by SimpsonHaugh and Partners, the tower is scheduled for completion in 2018, at a height of 163 metres. The 90-metre 240 Blackfriars was completed across the road in 2014 by architects Allford Hall Monaghan Morris.